Lymphatic therapy targets the lymphatic system which is the secondary system of circulation in the body with a very complex set of tasks. The major tasks are cleaning and nourishing the cells. Sounds simple enough, but without it, we wouldn’t survive long. 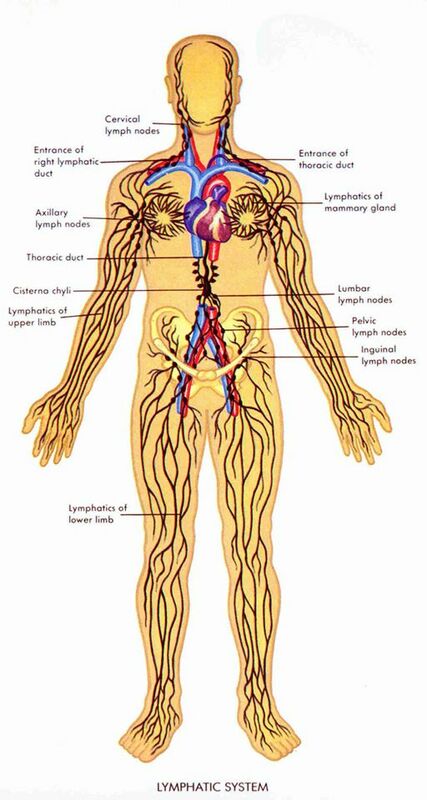 The lymphatic system is a sort of go-between from the blood circulation to the individual cells. 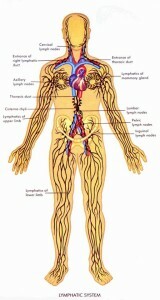 Lymph is a clear fluid containing nutrients and oxygen similar to blood but without the red and white corpuscles. 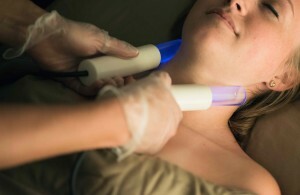 It comes from the general circulation and is deposited around the cells to keep them nourished. The cells are able to discard waste and toxic materials into this fluid. The lymphatic vessels pick up this waste and any excess fluid from around cells and transport it, via the lymph nodes which filter it, back into the general circulation. It’s a one-way shuttle, so lymph should only ever flow in one direction – away from the cells and towards the heart. Poor lifestyle choices are the most common causes of an inefficient lymphatic system, though they are certainly not the only ones. Headache: Most headaches, including sinusitis, have a component of congestion that responds well to lymphatic drainage. Once tissue is decongested, blocked fluid and blood flow improve, reducing pain and discomfort. Pregnancy and after: There is often fluid retention in pregnant women and lymphatic drainage can improve comfort especially in legs and feet. Breastfeeding will be enhanced by this treatment, especially when there are problems with blocked ducts and sore tight breasts.